It’s not hard to recognize a Kickass Canadian when their résumé includes the following: member of the first all-women team to canoe across Canada; official guide for the Trans Canada Trail Northwest Territories research trip; 2007 Outstanding Experiential Teacher of the Year, as per the Association for Experiential Education (AEE); and co-author of an essay in the book Rendezvous with the Wild: The Boreal Forest, which was edited by Kickass Canadian (and fellow canoeist) James Raffan. That recommendation came from Grant McMillan, who worked with Carrie when she was teaching Outdoor Adventure and Administration at Briercrest College in Caronport, Saskatchewan. Her time there, much like the rest of her life since her early teens, has been marked by incredible canoe trips across Canada’s many waters. But although Carrie has developed a deep passion for canoeing, it certainly wasn’t a case of love at first sight. Carrie was properly introduced to canoeing when she joined the out-trip club at Parry Sound High School in her hometown of Parry Sound, Ontario. Before that, she hadn’t been much of an outdoors girl. Her parents and elder sister got their camping fix in early, so by the time Carrie was born, they’d gone on to other things. Fortunately, her best friend, Martha Martens (née Mortson), grew up camping with her own family, and encouraged Carrie to sign up for the out-trip club’s nine-day canoe trip through Algonquin Park in their freshman year. “It snowed the first day and it rained the second day, and I thought it was the stupidest thing anybody could do with themselves,” says Carrie. She had no intention of getting in another canoe. In the end, though, peer pressure won out (“in my case, it was a good thing”), and she found her way back on the water. “That has created a life time of paddling and being outdoors,” she says. One of her earlier leaps into the wilderness was through a “sisterhood” with Martha and Martha’s cousin, Kristi Vegt (née Mintz), while they were still in high school. They called themselves the FROG Sisters (FROG was short for Friendly Rambunctious Outdoor Girls), and took every opportunity to celebrate Canada’s great, vast landscape. In the summer of 1993, before their last year of high school, the FROG Sisters got together to watch the movie Indian Summer, which is about a summer camp in Algonquin Park. 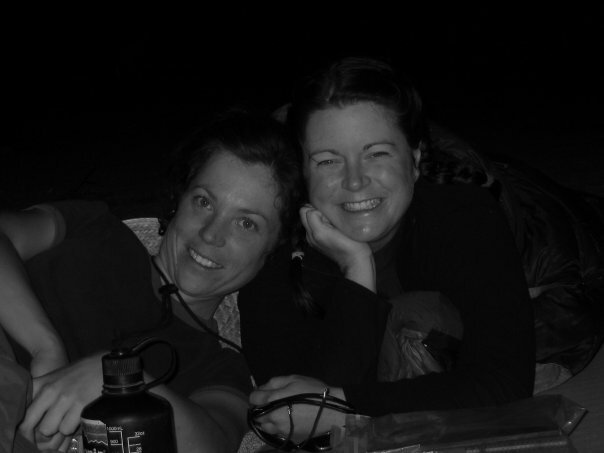 Carrie and Kristi were so inspired that they decided to start their own canoe camp. 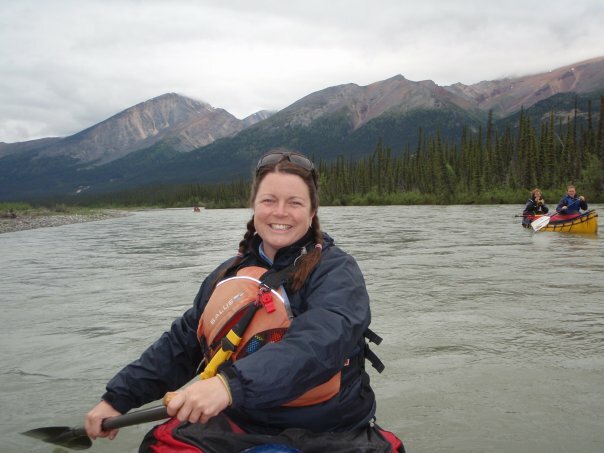 The seed may have been planted in 1993, but the epic Many Waters trek across Canada’s lakes and rivers really took root in 1999, the year Carrie graduated from Lakehead University with an Honours Bachelor of Outdoor Recreation and a BA in Geography. She and Martha secured grants from the Royal Canadian Geographical Society, and attracted a slew of exceptional sponsors, including Bluewater Canoes, which donated a 17-foot yellow Kevlar canoe, and XY Paddle Company, which gave them their paddles. The plan was to take two summers to cover 9,000km. They would start in The Pas, Manitoba in summer of 1999 and reach Saint John, New Brunswick by late autumn. Then in spring 2000, they’d paddle from The Pas to Tuktoyaktuk, Northwest Territories, completing their route between the Atlantic Ocean to the Arctic Ocean. “But things never go according to plan,” says Carrie. By the end of their first summer, they realized they’d have to extend their trip by a year. What was to have been a four-day stretch along Lake Superior, between Marathon and Wawa, Ontario, wound up taking 22 days, thanks to very rough waters. The paddlers were forced to skip a portion of their route between Wawa and Parry Sound, and still only got as far as Montreal, Quebec by October 14. The pair decided to pack it in, and add a third summer to cover the parts they’d missed that year—Wawa to Parry Sound, and Montreal to Saint John—after spending four months paddling from The Pas to Tuktoyaktuk in the summer of 2000. The choppy stretch along Lake Superior wasn’t the only obstacle nature presented. There were four-foot swells on Lake Winnipeg, ferocious thunderstorms, and even the tail end of a tornado in the Northwest Territories, about 80km outside of Fort Smith. The storm did eventually blow over, leaving both women alive and well, except for one thing: they were without a canoe. “It was our mistake for not tying it down,” says Carrie. So there they were, stranded on an island in the Northwest Territories. They downed some chocolate bars and a couple Benadryl, then went to sleep. In the morning, they called the Royal Canadian Mounted Police (RCMP) for help, and were picked up by motorboat. When they still couldn’t find the canoe, their expedition took another detour. Carrie and Martha hitchhiked 700km to get a canoe that Carrie had left by the Mackenzie River on a trip two years prior, and then they hitchhiked 700km back with the canoe. After all that work, she and Martha returned only to find that their original yellow canoe had been discovered just 10km from where they’d lost it. Onward and northward. Between their second and third summers, Carrie and Martha spent four months touring with a slideshow of their trip, which they presented to about 8,000 youth in 150 schools across Canada. They tailored their presentations to each age group; for elementary school students, the focus was on Canada’s geography; for high schoolers, it was on achieving dreams. Across every grade level, the response was the same: amazing. Upon completing the final leg of their journey in the summer of 2001, Carrie and Martha were recognized by the federal government for their remarkable achievement—both in paddling across Canada, and in spreading their knowledge with Canadian students. Carrie says there’s a Many Waters book in the works, which will recount their stories and share their lessons. But she isn’t waiting to apply her lessons learned, either to her life or her teachings. A large part of the appeal was simply in seeing the land they loved so much, and experiencing it at 5km/hour (what Carrie calls the “slow travel movement”). But a fundamental reason for the trip was that both women wanted to explore Canada through its peoples. Of the countless ways Carrie says the trip changed her, it’s those encounters with others that weigh in as the most significant. “Others” for Carrie includes not only strangers, but also animals, and even Martha, her closest friend since birth. Still, the trip required that the two friends meet one another continuously, dealing with the good and the bad. Those roots are now fully formed, and have grown to yield many strong branches. Carrie’s knowledge base draws on a formal education that includes an MSc in Experiential Education from Minnesota State University, Mankato (2004) and a PhD in the Philosophy of Education from the University of New Hampshire (2012). She’s also gained plenty of knowledge through her informal education, exploring Canada’s waterways both on her own and as a guide. 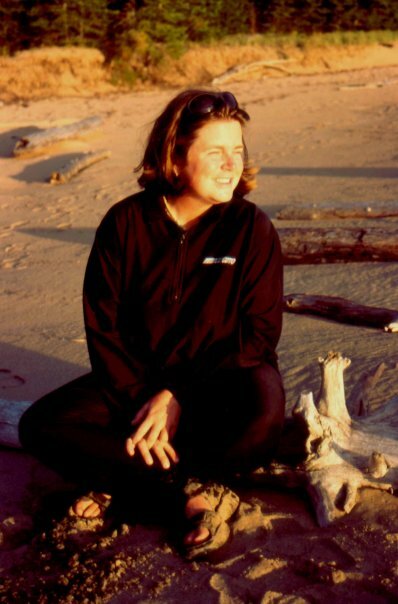 While teaching at Briercrest College from 2001 to 2006, she led students on a wide array of expeditions. One involved bringing an 800lb climbing wall on a canoe trip along the Mackenzie River, so that the group could offer a travelling summer camp of sorts to the First Nations communities they visited. 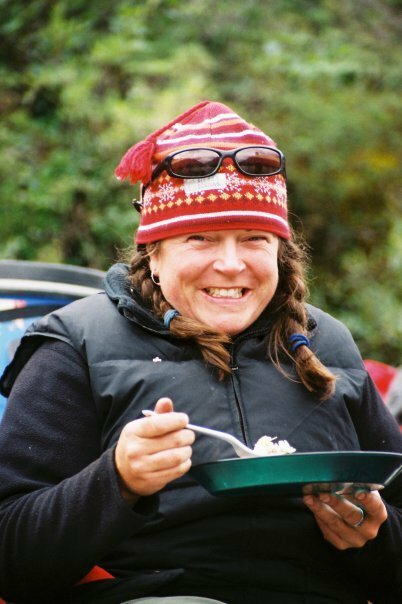 Carrie has been a frequent guide for Parry Sound’s Black Feather Wilderness Adventure Company, which she calls “one of the foremost guiding companies.” (As it happens, James Raffan also spent many summers guiding for them.) 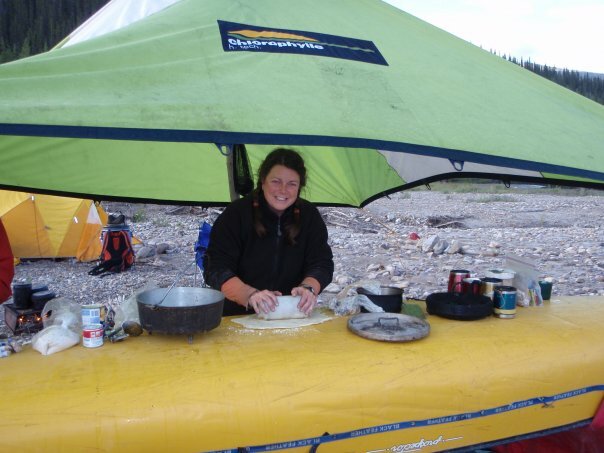 And she’s something of an expert when it comes to paddling the Mackenzie River, having been on its waters four times, including once to guide the author of the Trans Canada Trail Northwest Territories guidebook. All her experience in studying and practicing experiential learning comes together in Carrie’s current job. As Assistant Professor of Education at Ambrose University College in Calgary, Alberta, she teaches the ‘Society and Culture: Methodology and Practices’ stream of the school’s two-year Bachelor of Education program. Part of what drew her to the position was the fact that, as a faith-based school, Ambrose enabled her to consider how one’s faith life influences one’s teaching life, and vice versa. Just four months into her job at Ambrose, Carrie isn’t sure exactly what her long-range forecast will look like. But she’s certain that it will involve trying to continue to transform education. As Carrie reflects on that ‘once in a lifetime’ experience, and her many other adventures on our great nation’s lakes and rivers, she considers why Canada’s waterways are so very important. “I think if you compared Canada to a human body, our waterways are our blood vessels,” she says. “What do our blood vessels do for the body? They get oxygen to the brain, they move good things in and bad things out. We couldn’t do what we do without that vital function in our bodies, and I think our waterways do that in some ways. I think they have very strong utilitarian value, just in terms of what we need water for—for our lives, for transportation, fishing industry, all those kind of things. There’s a huge utilitarian purpose. Wonderfully, Carrie is here to help guide us to it. 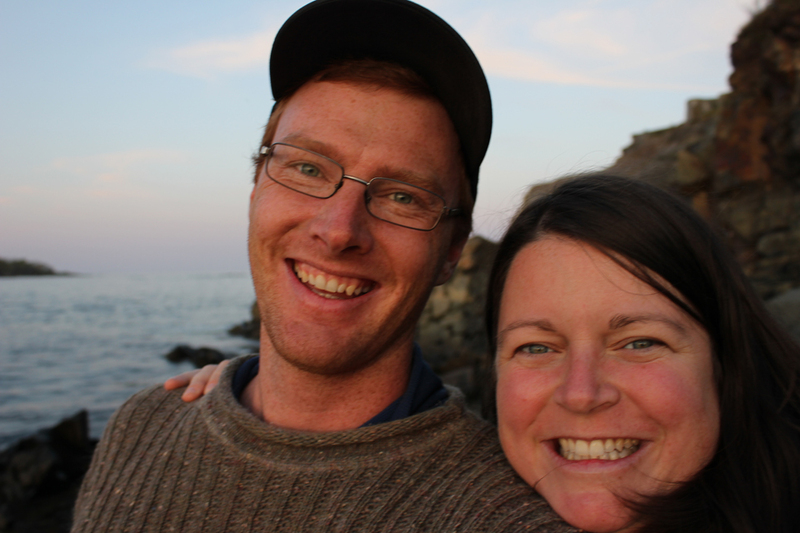 To reach Carrie, you can email cnolan@coastmountaincollege.ca. 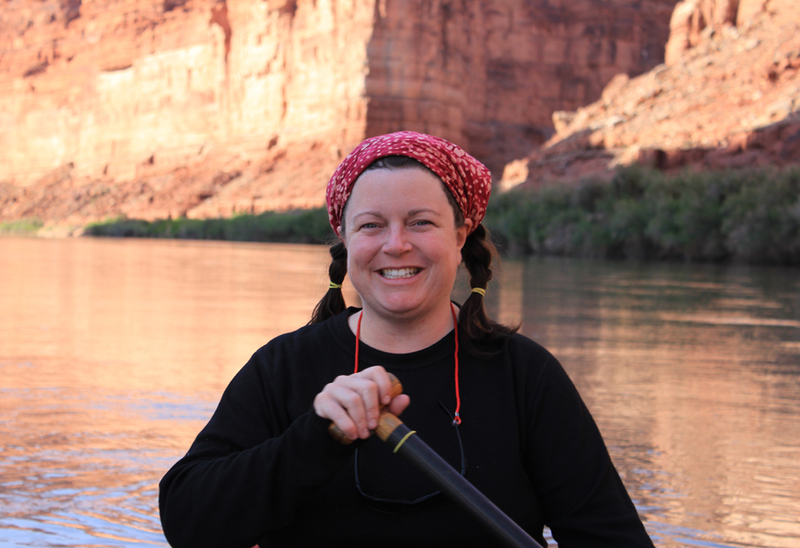 You can also check out Carrie’s nonprofit NGO, Path of the Paddle, which she launched in 2014, and which you can follow @paddlepath on Twitter. In the delivery room when they put you on my tummy and you reached up with your little hand and grabbed my finger I knew that you were a special blessing from the Lord. To know you is to love you. Dad and I are proud of your accomplishments and cheer you on the longest and loudest. I prayed for a prayer partner and got both a prayer partner and a paddle partner. We are blessed. Maureen, that is one of the sweetest comments I’ve read! Thank you – for the feedback, and for raising such a wonderful daughter!! Carrie, I am so proud to be able to say I led you on your first canoe trip in Algonquin Park. Although you may not have liked it much at first, you never gave less than your best. You have grown into a wonderful woman and a shining example to those that you teach. As your mom said, we are so blessed to know you. Little did we know when you and Martha were growing up the adventures you would get into. I learned so much about the waterways of Canada the three summers you paddled across the country. I also gained a quite a few grey hairs; but mostly I learned to trust God in a much deeper way. We are proud of your accomplishments and are blessed to have had a part in your life. Thanks for your comments, James and Sue. So nice to see such great support for Carrie and Martha! Congratulations on all your achievements! Keep up the good work. First Many Waters and then the world, you’ve been an inspiration from the beginning! And you even have a real job. Way to go. I can’t think of anybody more qualified, having learned about learning as you have… through the experience of paddling the country… to prepare and provoke by shining example the teachers of tomorrow. Still waiting for that book to hit the shelves. Congratulations on being a KAC from all your fans at the RCGS and the Canadian Canoe Museum. Wow Carrie! We knew of some of your accomplishments via your Mom but had no idea you had done so many things. Needless to say, we are very proud of your many unique achievements, but much more than that you are such an outstanding godly woman who has greatly influenced many people (only eternity will tell how many!). You bring joy to everyone you meet. We are blessed to have you for our niece! Carrie, I SO enjoyed reading this article. I was impressed with your love for nature and the waterways. I was excited about the journey, felt your determination to complete the trip, loved your never-ending friendship with Martha, pleased to hear that you are being a blessing in the area of work God has placed you in, realized you serve a big God, and touched by the responses of people who know you to be a wonderful human being. It sounds like a life “well-lived”! Inspired by this lady! Love the write-up! So honoured to be part of your amazing journey. So honoured to have you be part of mine!!! Great to see you profiled here, Carrie. I have heard you talk about your adventures but didn’t realize how you’re using your experience. So proud of you my friend and fellow Outtripper Carrie! Looking forward to another canoe trip with you some day. What an inspiration to women out there everywhere!